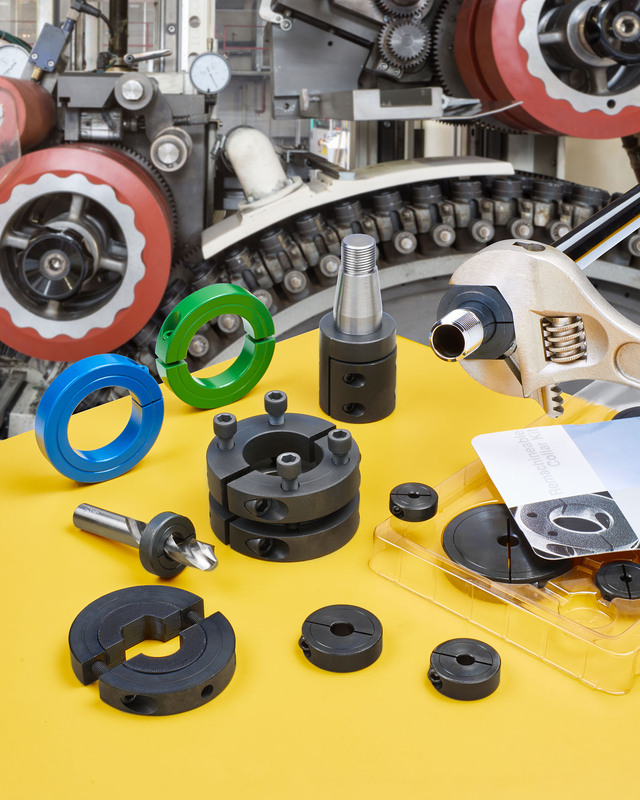 A new group of shaft collars, couplings, thrust assemblies and repair kits especially developed for maintenance applications is being introduced by Stafford Manufacturing Corp. of Wilmington, Massachusetts. shaft collars and components within a few hours. Developed to reduce downtime and costs, the Stafford Maintenance Group of shaft collars also includes weldable- and paintable-shaft collars, along with machineable collars and couplings that are available in kits. Conversion couplings allow for the joining of inch-metric and different size shafts and thrust collar assemblies, including micro-adjustable end stops and axial thrust designs for releasing frozen shaft components are also offered. Stafford Products for maintenance, repair, and retrofit are priced according to configuration and quantity. Price quotations are available upon request.